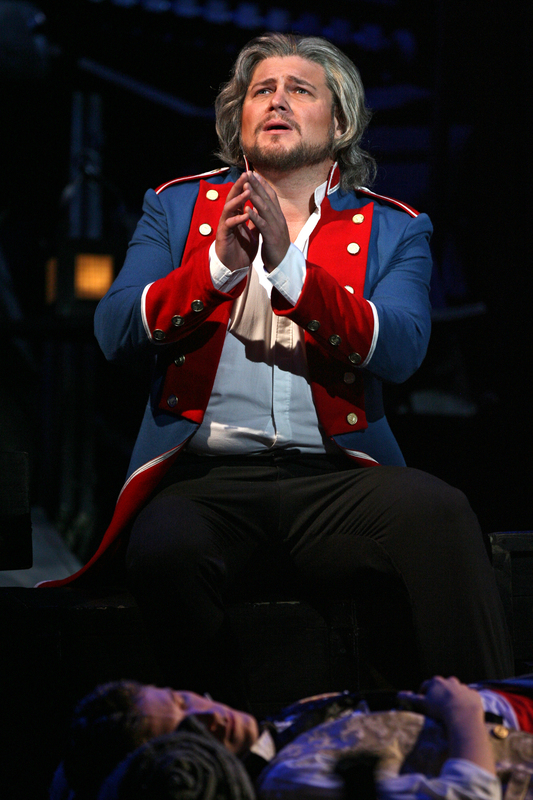 Rob Evan's Jean Valjean is not to be missed. Unabridged version of an article I wrote for Paste Magazine’s website. A few shows and a lot of waiting tables (at the TGI Friday’s in Times Square, no less) followed. Eventually he was cast in his first Les Mis role, as an understudy for the part of Enjolras. He went on several national tours. But he always came back to various roles with Les Miserables. “Les Mis was the world’s greatest temp job,” he quips. Eventually he was offered the pre-Broadway tour of Jekyll and Hyde, and he “began finding my way into that part.” It wasn’t long before fate intervened again. Things are continuing to happen in Evan’s career, to be sure, and this show is one the best of those things. Don’t miss his performance. Great profile. This guy has a fascinating story and the interview tells it well. Really inspiring to read about someone being so passionate about something that he turned his life upside down to pursue it. Reading this made me want to go see the show. Fantastic article eloquently describing the journey to living your own dreams. I love inspiring figures who give it all for their dreams. But….what was Dave doing up at 5:11 AM on a Saturday??? Great article. It’s pretty inspiring to read about a guy who follows his dreams to fruition. It seems he’s had quite a ride too – from Jekyll and Hyde to David Hasselhoff, it sounds like this guy would have been a blast to meet and hang out with. Excellent insights in the interview with Rob Evan. Thanks! I feel so inspired by this article. Thanks! The Interview reminded me why passion matters. It made me jealous of those who will get to see this fine actor doing what he has chosen to do. Thank you! Only wish I were in the ATL to see his performance. This is one of my favorite plays, and I always seek out bios and articles of lead characters. I can’t wait to see more Rob Evan work. Thanks for the insightful interview! I’m always fascinated by and thoroughly enjoy reading bios and interviews of lead characters in all types of acting mediums. It’s interesting to learn how they get their start, what drives them and how they create the characters they do. Thanks for the insightful article. Saw him in the Les Mis production at Wolf Trap (in VA) and he totally rocked! Great article! I have always loved Les Mis, so this really hit home wit me! The subject is fascinating and the writing seamless. I regret not keeping up with Atlanta’s art scene, but your article inspires me to do better. Nice work, Michael.